As pretty as the picture! Good quality craftsmanship. You will love it! Cute little stool. My elderly mother needed something to put her feet up on as she sat in her chair. This little stool is perfect! This stool works perfectly for me. Mainly ordered for My little dachshund to use to help her climb on sofa. Also use as regular footstool. Really cute foot stool. It is also the perfect size for children to sit on. 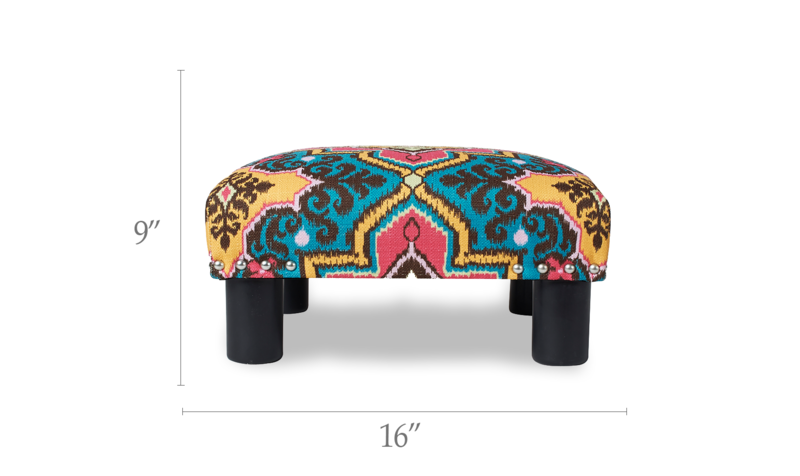 I looked at hundreds of footstools before choosing this one and am happy about my decision. The design and quality are good.Yet, to me, the fabric is a bit cheap, but probably won't seem so to many people. The little compartment is a plus (the legs were in it). So far, it is sturdy and attractive. Guests have remarked that it goes perfectly with a teal colored chair. The price is exceptionally good considering the price of footstools in general. I fell in love with this stool the minute I took it out of the box. I have it in front of my rocking chair. What a beautiful pop of color for my living room! 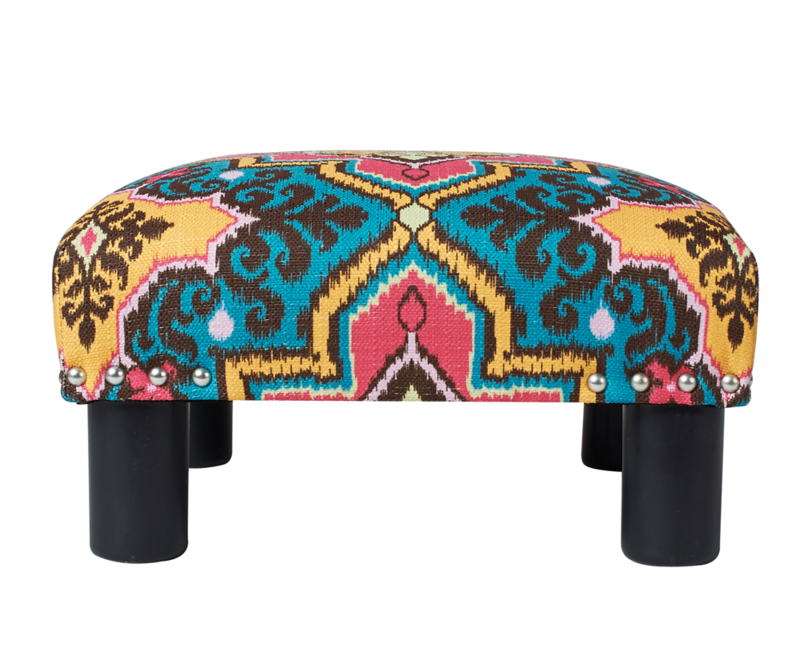 Absolutely love this ottoman. The price was exceptional (on sale) and it is a perfect addition.